We have recieved a number of stories about Minor Hockey players and teams in our community and we have decided to share these stories with the public as they should be recognized. Please view these inspirational stories below. I’d like to tell you about our son Connolly. Connolly is an 11-year old whose face lights up any time he steps on the ice to play hockey; whose face lights up even when he’s at a rink cheering on his brothers or his friends. It doesn’t matter if it’s a 6am practice or an 8:30pm game on the other side of the city from where we live. Connolly is there with a smile on his face ready to skate his heart out, or cheer on his brothers/friends. Connolly is a triplet; the youngest by a whole minute. He, with his brothers Keegan and Joshua, began his hockey career in 2010 at the ripe old age of 5 in Timbits. He fell down…a lot…but he always got up, brushed himself off and started again. This has pretty much been Connolly’s motto in his young life so far. F-E-A-R - Face Everything and Rise! Connolly has never been on a higher tier team nor has he been a top point-getter on his team; but what Connolly has always been is a champion for the game of hockey. He has a deep passion for the game. If he is not on the ice himself, he is watching hockey on TV, playing hockey on the Xbox, shooting pucks in the driveway or writing out line-ups, setting up a score clock, giving his ‘team’ a pre-game speech and playing role of announcer in his own mini game in our basement. And if he’s not playing it, he’s talking about it and sharing stories about it to anyone who will listen. Hockey and Connolly are pretty much synonymous among those that know him. This is why in 2015, when Connolly was diagnosed with life-threatening conditions that resulted in the need for brain surgery, it was a devastating time for him. It was the hardest thing he had ever done…stand on the sidelines not knowing if he would ever lace up his skates to play again and feel the awesomeness of the ice under his feet. Or smell the stink of his hockey gear after a hard-fought game. But his love for the game, his ‘Face Everything and Rise’ attitude kept him inspired, kept him hopeful as he supported his brothers through their second year of Atom hockey in 2015-16. Connolly also found inspiration in his favourite hockey team, the Winnipeg Jets, and his favourite player, Adam Lowry. Connolly would often talk about how if he couldn’t play in the NHL, he would one day be a General Manager of a team (preferably the Jets he always added). Hockey at both the community level and the big leagues inspired Connolly to battle through the most difficult year of his young life. Connolly was given an opportunity, thanks to the Make-A-Wish Foundation and the Winnipeg Jets to be even more inspired in March 2016. Connolly was signed to a two-day contract with his favourite NHL team and spent the most memorable weekend with the Jets and his favourite player Adam Lowry. He also did something many kids wouldn’t do – think of others at a time when it would’ve been ok to just think of oneself. Connolly requested that his brothers join him in his wish weekend with the Jets. The weekend wasn’t just about Connolly being inspired; Connolly inspired the players in that NHL dressing room too. We were told by players and staff how Connolly shone in that dressing room, his knowledge of the game unmatched, his ‘nothing is going to stop me’ attitude helped inspire everyone around him; to forget the woes of not making the playoffs that season and realizing that one of their biggest roles is inspiring kids like Connolly to fight through their battles, and in turn kids like Connolly inspire them as NHL players to fight through their battles. Not long after returning to Calgary from the unforgettable weekend in Winnipeg, Connolly’s neurosurgeon gave us the results of his latest post-surgery MRI. Connolly was given a green light to return to the game he loved once again. It was an incredible moment. Connolly had never given up on hearing those words from his doctor. We had, but not Connolly. Connolly is not only inspired by the game of hockey, but he inspires us and so many others every day with his attitude towards his battle, one that despite a successful surgery, he will fight for his entire life as his conditions will never not be present. Here we are now, December 2016, 15 months after his brain surgery, Connolly is #17 (same # as his now-good friend Adam Lowry), playing for the Senators in Hockey Calgary’s peewee rec hockey league. He is a leader in the dressing room and a leader (though not in points, but in respect of team-mates/opponents, in hard work/determination) on the ice. Connolly continue to inspire those around him off and on the ice and he continues to be inspired by the game at all levels. When it comes to hockey, Connolly will always be ready to face everything that is thrown at him and rise to overcome. 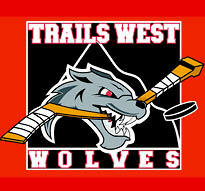 Trails West Hockey Association has developed a Mentorship Program that allows older aged teams to pair up with younger aged teams to teach them the fundamentals of hockey and help improve their game. This gives the opportunity for the older players to run a practice, develop their teaching and leadership skills and give back to the community. As well this gives the opportunity for the younger players to connect with their older peers and benefit from some one-on-one mentorship from their peers. Read more about the Mentorship Program on their website. 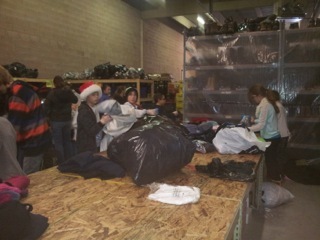 McKnight Mustangs Pee Wee 4 Team donate their time to give back to the community! 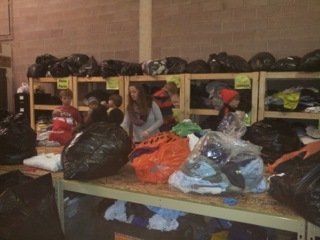 The McKnight Mustangs Pee Wee 4 team spent time at the Mustard Seed sorting donations over the weekend. Their manager stated "it was a great opportunity for the kids to hang out, get to know each other off the ice and give back to the community at the same time". Thank you McKnight Pee Wee 4 for making a difference in our community! This is a story about a young boy named Kale that has Cerebral Palsy and plays sledge hockey with 14 other Calgary and area kids every Saturday night. 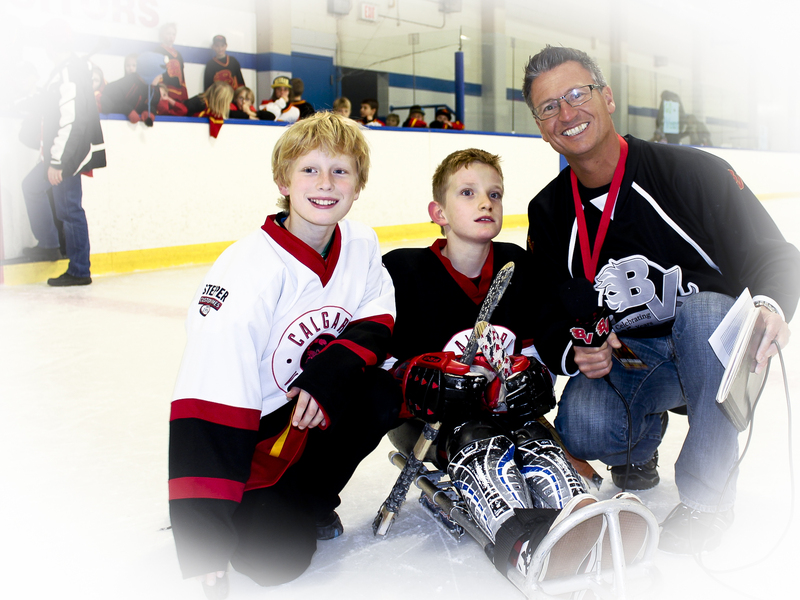 They are the only novice Sledge Hockey team in Calgary so they just practice - all season - for one year end tournament. Kale has been a 'superfan' to his brother Tommy's hockey teams for years now and is somewhat of a fixture in the rinks. Due to the non-stop cheering at all his brother's games - and the fact that Kale's sledge hockey team only has practices and never draws any fans, Tommy's Bow Valley Peewee 5 hockey team came up with a really fun idea. On the evening of November 16th, 2013 at Stew Hendry Arena, Bow Valley Flames players, friends and family surprised The Venom Sledge Hockey team with a "Fan Swarm" -- Everyone cheered like crazy for the kids, playing music during the scrimmage, and then a few parent sneak into their dressing room to deck it out with logos, name plates, a cooler of Gatorade for when they get off the ice. This was truly a memorable event for everyone. Trails West Wolves Bantam 5 vs. Crowfoot 5 - Hard Work Pays Off!